Stephen W. Hawking was born on January 8, 1942, in Oxford, England. His father a well-known researcher in tropical medicine, urged his son to seek a career in the sciences. Stephen found biology and medicine too descriptive and lacking in exactness. Therefore, he turned to the study of mathematics and physics. He was a sociable young man who did little schoolwork because he was able to grasp the essentials of a mathematics or physics problem quickly and intuitively. While at Oxford he became increasingly interested in relatively theory and quantum mechanics, eventually graduating with a first class honors in physics (1962). At Cambridge his talents were recognized by his major professor, the cosmologist Dennis W.Sciama, and he was encouraged to carry on his studies despite his growing physical disabilities. His marriage in 1965 to Jane Wilde was an important step in his emotional life. Hawking made his first major contribution to science with his theorem of singularity, a work which grew out of his collaboration with theoretician Roger Penrose. A singularity is a place in either space or time at which some quantity becomes infinite. Such a place is found in a black hole, the final stage of a collapsed star, where the gravitational field has infinite strength. Penrose proved that a singularity was not a hypothetical construct; it could exist in the space-time of a real universe. Hawking’s research into the cosmological implications of singularities led him to study the Properties of the best-known singularity the black hole. Although a black hole is a discontinuity in space time, its boundary, called the event horizon, can be detected. Hawking proved that the surface area of the event horizon of a black hole could only increase, not decrease, and that when two black holes merged the surface area of the new hole was larger than the sum of the two original surface areas. Hawking’s continuing examination of the nature of black holes led to two important discoveries. The first of them, that black holes can emit thermal radiation, was contrary to the claim that nothing could escape from a black hole. The second concerned the size of black holes. As originally conceived, black holes were immense in size because they were the end result of the collapse of gigantic stars. Hawking summarized his scientific interests as “gravity – on all scales,” from the realm of galaxies at one extreme to the subatomic at the other extreme. Hepresented a popular exposition of his ideas in A Brief History of Time: From the Big Bang to Black Holes. First published in 1988, this book acquired great popularity In the United States. It sold over a million copies and was listed as the best-selling nonfiction book for over a years. In 1993 Hawking wrote Black Holes and Baby Universe and Other Essays, which, in addition to a discussion of whether elementary particles that fall into black holes can form new, “baby” universes separate from our own, contains chapters about Hawking’s personal life. 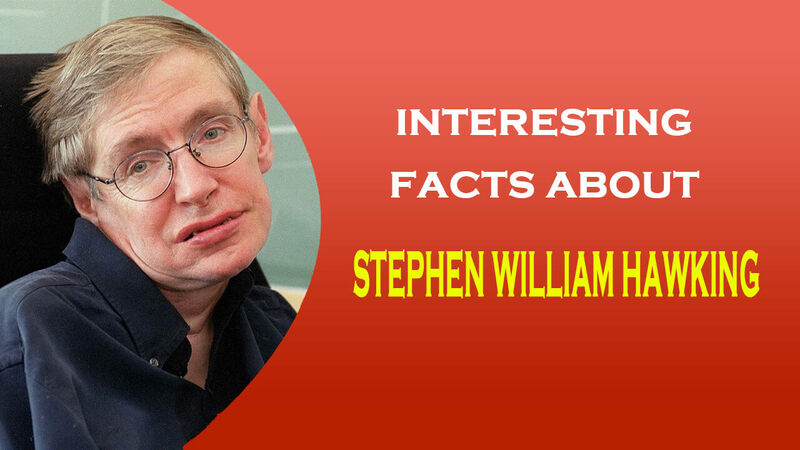 Hawking’s work in modern cosmology and in theoretical astronomy and physics was widely recognized. He became the fellow of the royal society of London in 1974 and five years later was named to a professorial chair once held by Sir Isaac Newton: Lucasian professor of mathematics, Cambridge University. Beyond these honors he earned a host of honorary degrees, awards, prizes, and lecturships from the major universities and scientific societies of Europe and America. Hawking’s endeavors include endorsing a wireless connection to the internet produced by U.S. Robotics Inc., begning in March, 1997, and speaking to wheelchair-bound youth. Hawking made an appearance on the television series Star Trek that his fans will not soon forget. Hawking does not readily discuss his personal life, but it is generally know that he was divorced from his first wife in 1991 and they have two sons and a daughter.